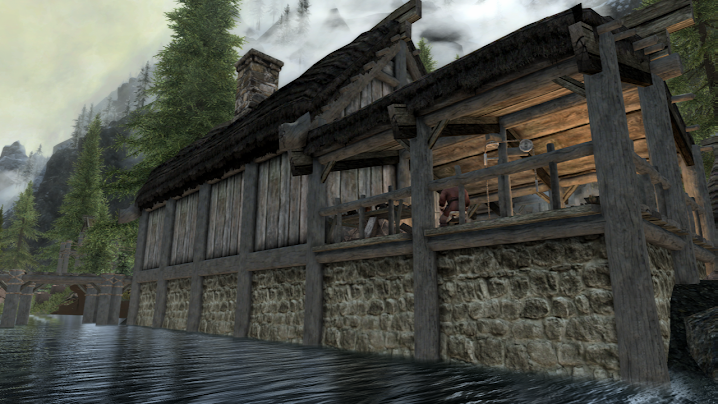 This module is an extensive overhaul to stone and woodwork to all of Skyrim cities and villages. My goal was to create a new way of looking at Skyrim with darker roofs and wood staining with more ornate wood carvings instead of paint. These aesthetics were built on the principle that paint is a rare commodity, usually reserved for nobles or fighting forces – not for giant swaths of buildings. As an example illustrating this vision, Whiterun has undergone a new transformation, with blueish undertones to the main pieces and darker wood stains, hinting on the use of resin and oils. Additionally, all windows have been fixed and appropriately cleaned. 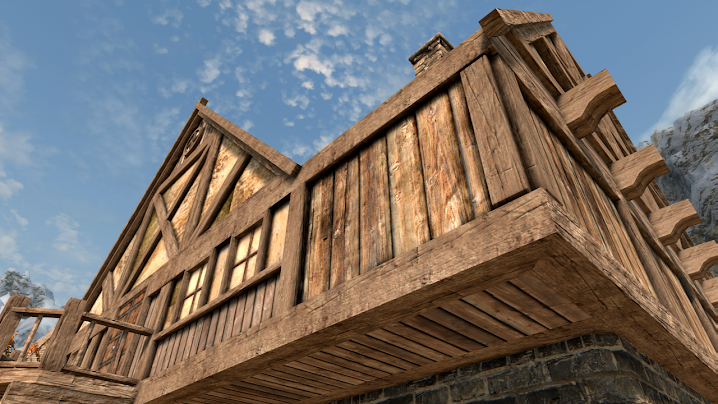 This mod contains the basic SMIM architectural meshes. All of these are related to the new textures and I therefore felt it was appropriate to include them here. Additionally, I have also released a SMIM add-on in case you prefer a more complete SMIM experience (you can find a detailed list of what the add-on contains under the SMIM Add-on tab). 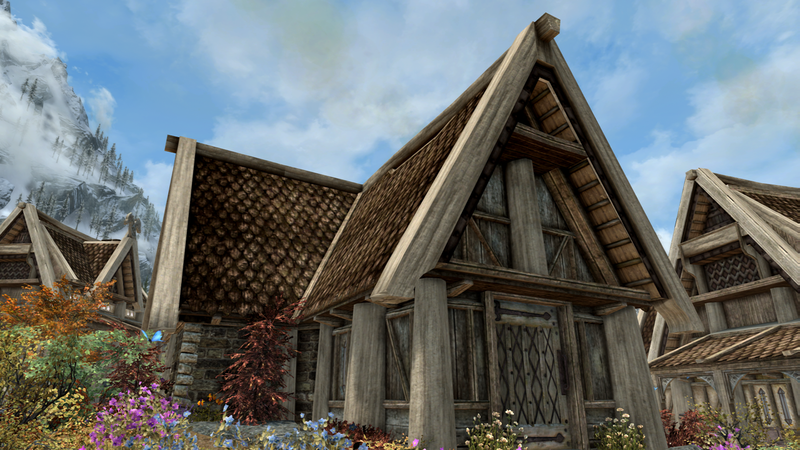 Dark Ages – Architecture is meant as a one stop shop for all your city and village needs, and it covers all buildings and structures within these places – Farmhouse textures are included. The other Dark Ages mods are meant as a complement to this and there is zero overlap between all of them. This was made in order to offer modularity as well as to account for the space constraints faced by console mod users. Covers stone ground and column designs – which accounts for about 75% of the city -, dock woods and doors. 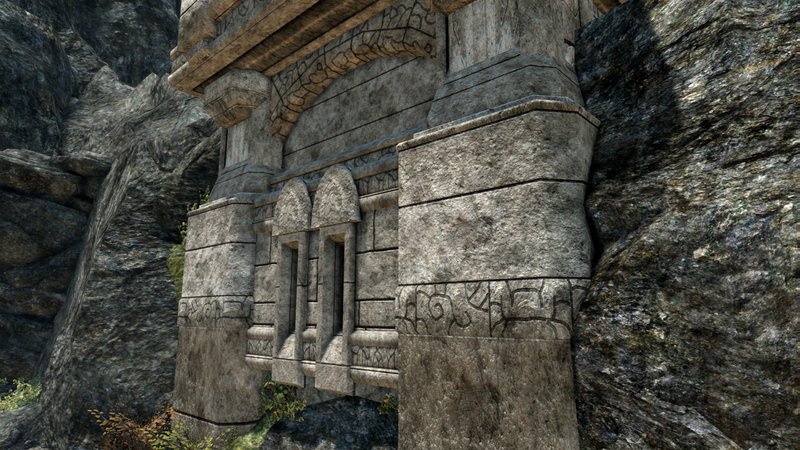 With the exception of the doors, all textures used in this overhaul are not used in Dwemer ruins in order to avoid overlap – you can use the Dungeon add-on if you want to retexture these ruins that matches. 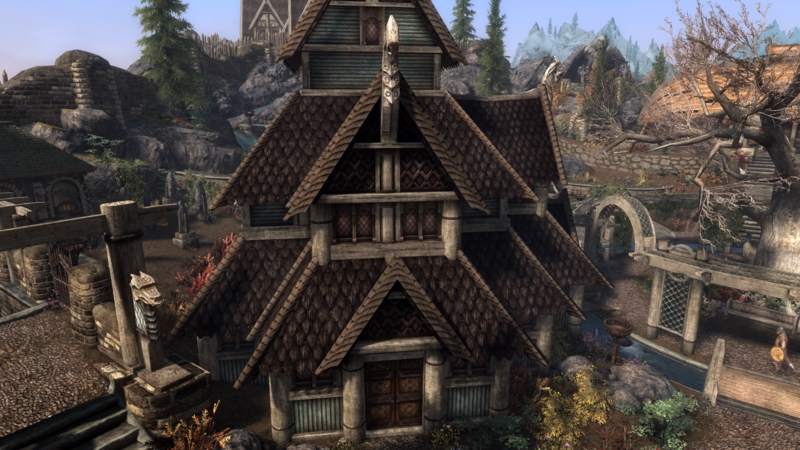 Please note that, due to the fact that Markarth is surrounded by mountains, the overall look of the city will vary depending on whatever mountain textures you are using. Covers docks with 3D ropes, walkways, wood paneling, roofs, stone walls, marketplace bricks, windows, temple stones and lantern posts. Covers stone flooring, exterior and interior wood, interior tiles, dock pieces, new roofs, and windows. 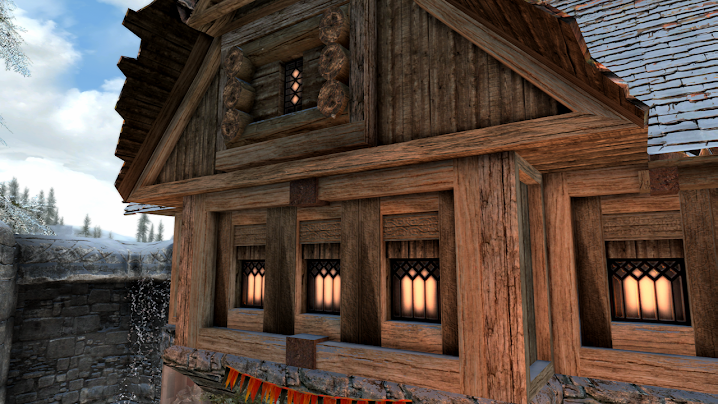 Covers new panelings, roof tops, the trellis, Dragonsreach interiors, cobblestones, windows, the drawbridge, stone walls, doors, temple and market stalls/awnings. 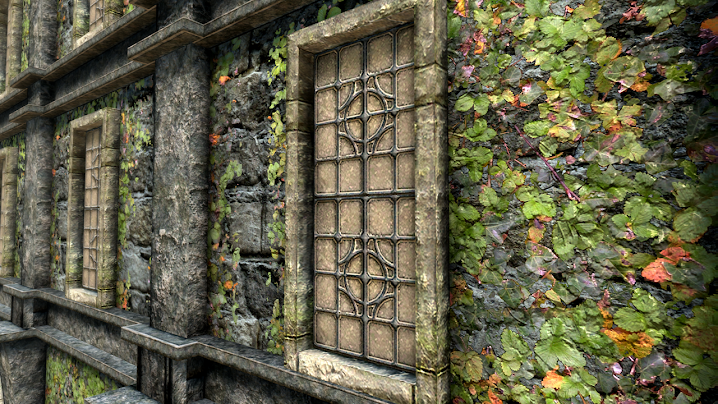 Contains twelve new meshes with better UV mapping, and twelve new normals to fit the UV mapping. Covers all interior and exterior wood, basic stone, windows and normal map polishing. Even though these tweaks and additions may not sound like much, their visual impact is tremendous, covering almost everything necessary within the city and outskirts at a small space cost. Covers new thatch, new stonewalls, lumbermill, wooden ground, wells, interior stone floor, interior and exterior wood, woven fence and 3D ropes.